Welcome and thank you for visiting Michael’s Corner. I have dedicated this section to explaining eye conditions seen during routine eye examinations. These include eye problems which are common and seen regularly to those seldom seen but equally as important for the health of our eyes. Please visit Michael’s corner frequently as new topics as well as updates on existing articles will be posted regularly. A key component in eye care is eating the right foods needed to provide the essential vitamins and minerals required to maintain good eye health. Our eyes require certain nutritional and dietary needs closely paralleling those of the rest of our body. There are however some which specifically target parts of the eye important in providing good sharp vision. This edition of Michaels Eye Site will list these foods rich in these nutrients along with their functions and benefits. The macula which is found on the retina, is considered to have the most important role in the eye. It provides us with sharp central vision and is also the site of the unwanted eye disease macular degeneration (MD). It has been said that once your macula goes, so does your vision. This then places a large emphasis in keeping your macula healthy. There has been much speculation regarding the causes of MD. Although not proven, one of the most suspected risk factors is oxygen in the form of free radicals. It is for this reason eating foods containing high amounts of antioxidants is beneficial in preventing MD. 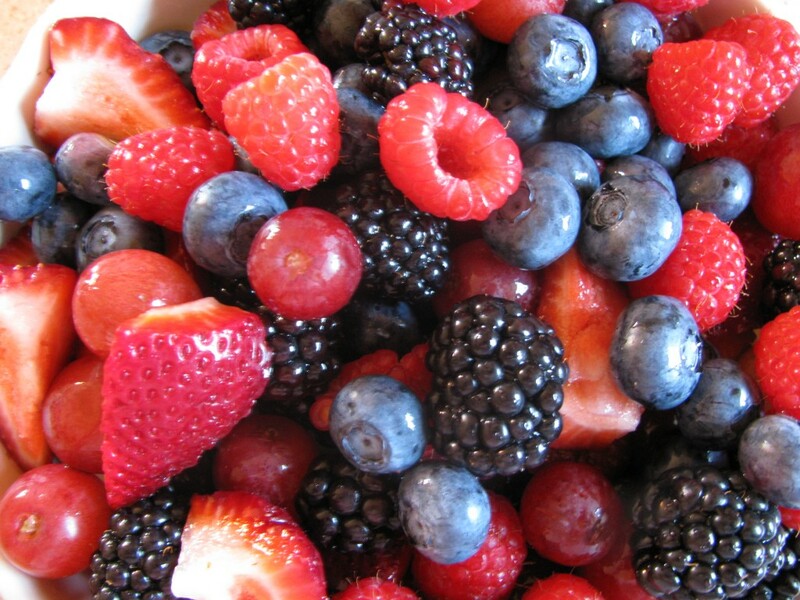 Foods rich in antioxidants include carrots, artichokes, apples, potatoes, beans, dark chocolate, red grapes, red wine and all berries including blueberries, raspberries, strawberries, cranberries and blackberries. Along with these foods, the essential minerals zinc and selenium have also been shown to assist in the process of oxidation which enables absorption of antioxidants into the body to fight the effects of free radicals. Foods containing these minerals include tuna, beef, some nuts, bread, rice, cottage cheese, oysters, pork, yoghurt, cheese and chicken. Another aspect of vision we rely on is our tear supply. One function of a healthy tear film is to dilute and flush away potentially problematic bacteria and allergies such as pollen away from the front of the eye. 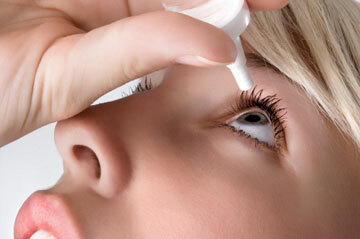 Dry eye is a common complaint faced by optometrists during consultations. Symptoms range from burning, itching, sore, red and irritating eyes, both mild and severe. The most typical solution involves the regular use of ocular lubricants such as Systane and Tears Plus. Although these seem to give some relief, they are usually short lasting. There is however other foods and supplements which may be used in conjunction to these to help produce a thicker more viscous tear film, possibly providing a more longer term solution. Studies have shown foods containing high amounts of Omega 3 fatty acids can reduce the symptoms of dry eye and even assist in regenerating a more stable tear film. These foods include cold water fish such as sardines, cod, herring and salmon. Flaxseed oil supplements and drinking healthy amounts of water daily is also recommended for dry eyes. We have already investigated glaucoma in a previous edition of Michael’s Eye Site. Now in terms of nutrition, there has been a strong link associating glaucoma with deficiencies in vitamin B12 and Folate. Foods rich in vitamin B12 include liver, eggs, corned beef, turkey and pork. 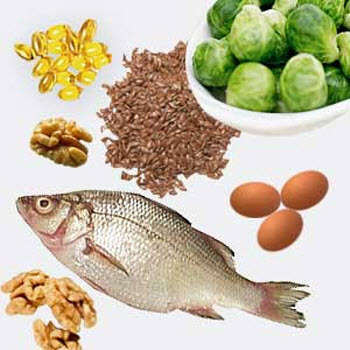 Foods rich in Folate include lentils, asparagus, spinach and broccoli. Although we have focussed on the foods which deliver the appropriate nutrition most relevant to some eye diseases, these also have potential benefits to all of our body including our heart. Many health professionals agree a good diet along with regular excercise is key to maintain good overall health to our eyes and the body in general. Presenting for most patients around the age of fifty, cataracts are an eye eye condition seen frequently by optometrists. Early stages of cataracts present few sight problems. However, cataracts do progress and subsequently weaken eyesight. This occurs mainly through the natural course of time. Some vision changes which may result include darkening or yellowing of vision, moderate to severe glare, increased difficulty in night driving and symptoms of photophobia (fear of bright lights). These vision problems precipitate an important question: When is it time to have the cataracts removed ? This edition of Michael’s Corner will focus on this question as well as elaborating on many aspects of cataracts beginning with a brief description. Cataracts are defines as a clouding or obstruction to the lens located inside the eyeball. As can be seen in the picture above, the lens is the dome shaped object positioned just after the iris. The lens of the eye has two main functions. The first is to provide one quarter of the focussing power to the eyes. This equates to approximately fifteen diopters of power, which is quite significant to providing us wih good quality of vision. The second function is to act as window and remain clear. this is achieved via a fluid balancing mechanism on the lens surface. This mechanism allows new clear fluid to enter the lens and older murky fluid to escape, thereby keeping the lens transparent. Cataracts develop when this balance between fluid exchanges is disrupted. This means the murky or unclear fluid remains inside the lens instead of being usually drained away. The lens thereby becomes cloudy resulting in hazy or blurry vision. 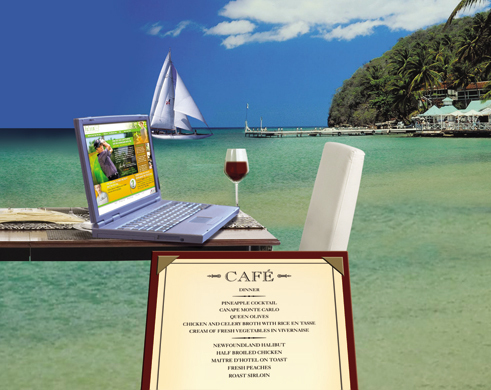 Vision changes which occur as a result of cataracts present in two possible ways. These are illustrated picture below. The left side represents the view through an obstruction cataract. This occurs when the fluid remaining in the lens clumps together and forms an obstacle or hindrance to good vision. The right side represents the view through a cataract suffering from discolouration or yellowing. This occurs when the murky fluid disperses throughout the lens disrupting its normal clear appearance and gives rise to a yellow view. Cataracts may cause vision changes by way of one or both of these ways. The decision when to have cataract surgery is based on input from the patient as well as the optometrist. One such patient input which needs to be evaluated is lifestyle. Patients having a lifestyle which requires sharp, acute and accurate vision often choose to have their cataracts removed ealier. 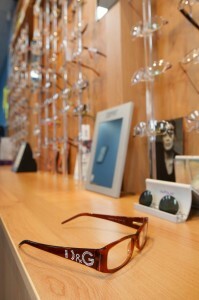 This enables them to continue fulfilling their routine daily requirement of good, crisp and high quality of vision. Patients, on the other hand, who are happy continuing in their daily activities with less than ideal vision, often leave the cataract removal for much later. 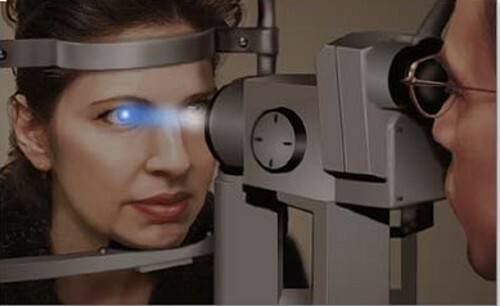 The input from the optometrist is based on the results by means of a routine eye examination. It is with careful assessment of ones lifestyle requirements and the data collated by the optometrist which decides the best time to have cataracts removed. Welcome to the first edition of Michael’s Corner for 2010. Diabetes is a systemic condition of particular interest to optometrists due primarily to the potential complications it can cause to the eyes. For this reason, this edition of Michael’s Corner will be dedicated entirely to the relationship between the eyes and the diabetic changes to the body. There has been much public awareness of diabetes and the eye through the tremendous efforts of organisations such as the Optometrists Association Australia (OAA) and Diabetes Australia. This has succesfully prompted many patients suffering with diabetes to place necessary emphasis on their ocular health. Diabetes is a condition defined by an excess of glucose in the blood supply. This usually results from a dysfunction or weakness in the pancreas. It is here in the cortex of the pancreas where insulin is produced and this has the function of breaking down excess glucose. A reduction to the levels of insulin produced results in an excessive amount of glucose remaining in the bloodstream. This overabundance of glucose can slow down blood circulation in the body causing many types of complications. There are three main complications diabetes may cause to the eyes. These are diabetic retinopathy, secondary glaucoma, and cataracts. The retina is considered to be the film of the eye. It has the function of collecting light signals and sending these to the brain for processing. As with any other part of the body, the retina has its own blood supply. 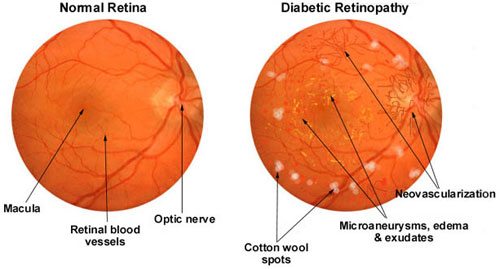 It is here within these tiny blood vessels called capillaries, where diabetic damage to the retina can occur. This damage called Diabetic Retinopathy, usually happens in the form of leakages (exudates), aneurisms and haemorrhages to the retina. This disruption to the function of the retina presents as significant loss of vision, which may be irreversible. 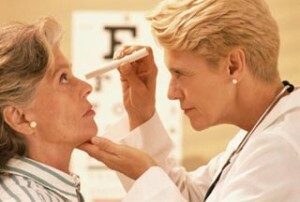 Diabetes can also bring about cataracts at a much earlier age than normal. Although this rarely presents as a serious or irreparable loss in vision, it is still nevertheless worth noting. Glaucoma as described in the October 2009 edition of Michael’s Corner is a relatively uncommon eye condition. Even rarer is glaucoma eventuating as a result of diabetes (secondary glaucoma). This should not exclude or degrade its presence or the potential damage glaucoma may instigate to the eyes. There are other changes to the eye which may result from diabetes, including prescription changes. These, however will be discussed in future editions of Michael’s Corner. 1) If the diabetes has been long standing, over a number of years. 2) If the blood sugar levels have remained at dangerously high levels for extended periods of time. Diabetic complications to the eye can also present without warning or symptoms. This further signifies the importance of regular ocular health examinations for all diabetic patients. These should be performed on a minimum yearly basis and also include full dilated fundus examination and visual field assessment. This is necessary to evaluate the retina and eliminate the presence of glaucoma. The presence of any diabetic related eye complications implies urgent treatment by appropriate medical practitioners to control the blood sugar levels in the body. The side effects to the eyes may also require immediate attention. However since these are largely due to the diabetes, the systemic condition needs to be managed and controlled at all times. Optometrist have a key role in not only diagnosing eye complications but also constant liasing with medical practitioners such as general practitioners and other diabetes specialists. This regular liason is mandatory in managing diabetes and reducing potential complications to all parts of the body to a minimum. “A picture tells a thousand words !” However if you are in the same situation as the lady pictured above and struggling to see those words, then this edition of Michael’s Corner is for you. One of the most common issues dealt with by optometrist occurs to most patients around 45 years of age. This happens when any task within an arms length becomes more difficult. This task typically involves reading but also includes sewing, office work, computer work, cooking and many others. The eye condition is called presbyopia. Presbyopia presents in its early stages as the deterioration of near vision only. 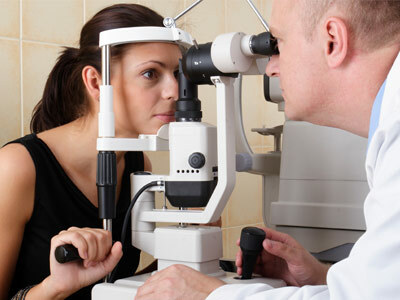 Subsequently, in many cases distance vision remains unaffected and little or no correction is needed. There are several options currently availabe to correct presbyopia. Two will be discussed here in some detail. Reading glasses are the most common way presbyopia may be corrected. Many patients prefer this type of correction as it is the simplest way and possible even gives the best vision. This option however is useful only for close work and not for distance. It therefore requires removal of the glasses for any vision other than near. There are some patients who may find annoyance in wearing glasses intermittently (on for near off for distance). For these patients, multifocal lenses may be a more practical option. Also referred to as progressive lenses, multifocal lenses are regarded as the more affluent way presbyopia may be corrected. These lenses have the ability to provide clear vision through all distances ranging from far away, computer and near. This is incorporated in one pair of glasses, allowing mutifocal lenses to be worn on a more permanent basis, if required. Much unlike the single vision type. There is also the option of contact lenses as another alternative form of presbyopia correction. This option will be discussed further in future editions of Michael’s Corner. The best option is decided with your optometrist during a routine eye examination. In order to evaluate which is the best way to correct your reading requirements, certain factors need to be ascertained. These include lifestyle and vocational requirements, sporting, hobbies and leisure activities. Your optometrist can then use this knowledge and other vision related factors to recommend and prescribe your most suitable treatment for presbyopia. Although affecting only 1 – 2 % of the population, one clear message applies when it comes to glaucoma, early detection ! Glaucoma is known to attack without any warnings or indications. This further signifies the importance of regular visits to the optometrist. It is here the majority of glaucomas are first detected and managed to reduce potential loss of vision. This edition of Michaels Corner will begin by defining glaucoma and the mechanisms by which subtle vision loss occurs. We will then focus on the important role optometrists have in diagnosing and managing patients suspected of having this discreet eye condition. Glaucoma is defined as an increased fluid pressure in the eye. The fluid contained in the eye has several purposes, two will be discussed here. The first is to assist in maintaining the solid round shape of the eye, and the second is to remain transparent at all times. This allows light to easily pass in and out, which enables constant clear vision. The fluid production / drainage system of the eyes is the most common site where glaucoma can occur. In a healthy eye, there is a balance where the same amount of fluid produced is drained away. However, in an eye affected by glaucoma, this balance is disrupted. This results in excess fluid remaining inside the eyeball thereby increasing the eye pressure. 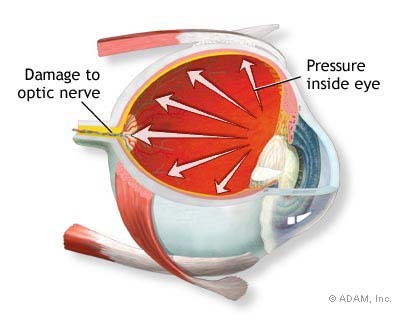 This pressure directly impacts on the optic nerve, located at the back of the eye, causing nerve damage. 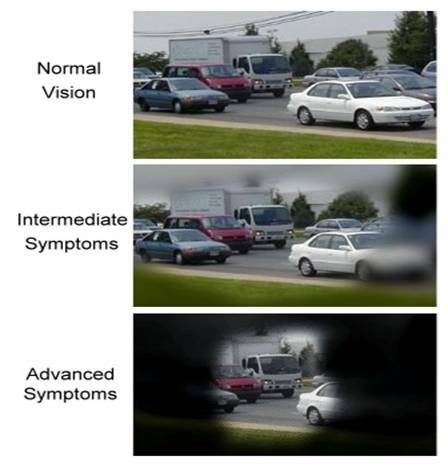 The visual loss caused by glaucoma usually begins with a slow deterioration of the peripheral or side vision. This vision, unlike the central vision, is rarely used or noticed. So patients suffering from early glaucoma unfortunately continue in daily routines olivious to the slow and irreparable damage which is happening to their peripheral vision. Early detection of glaucoma and subsequent immediate action in most cases restricts this vision loss to a minimum. This detection can only be done however with regular eye examinations. Optometrists have a very key role in the early diagnosis of glaucoma. During routine examinations, apart from vision testing, optometrists are trained to use a variety of procedures to recognise even the earliest presence of glaucoma. These include measure of eye pressure, careful examination of the optic nerve and visual field assessment. As mentioned earlier, any vision loss sustained from glaucoma cannot be reversed. So knowing this, regular eye examinations at the optometrist helps maintain clear vision and equally as important, great overall eye health. Both variations of styes will be discussed in detail in this edition of Michael’s Corner. It is important when discussing styes to briefly mention the anatomy of our eyelids. Styes normally appear along the top and bottom eyelid margins, very close to the edge of the eyelashes. In this position we normally have two types of glands or pores. One such gland is called the Meibomian gland, of which we have about ten to twenty lining each eyelid. This gland is responsible for producing an oily film layer which protects the tears from evaporating. 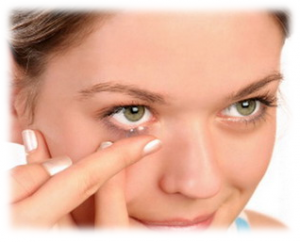 The other which is opening or pore is called the tear duct, which we have only one on each eyelid margin. This duct has the purpose of draining used and unwanted tears, and in the process making way for new tears to be produced. Styes occur within these glands when one or more become blocked with tear fluid. At the site of this blockage, fluid remains in the glands and subsequently hardens forming a raised surface on the eyelids which we call a stye. Although, as mentioned earlier, most styes tend to resolve themselves quickly, there are those few which can often persist for much longer and possibly cause much pain. 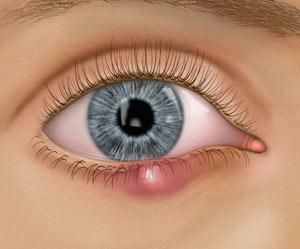 This can happen when the stye is left untreated resulting in infection, inflamation and severe discomfort. There are also other conditions of the eyelids which may look very much like styes, but require different and in some cases urgent attention. Therefore, as in the case with red eyes, if a stye presents your way its best to visit an optometrist for the correct diagnosis and the appropriate treatment. I have decided in this edition, to elaborate on a question that I am asked frequently during routine eye examinations, which is “Are Contact Lenses for Me ?”. There has been many improvements in contact lens designs, materials and available prescriptions. This makes contact lenses more available to correct more patients than ever before. However, before we can even contemplate fitting contact lenses, certain patient expectations need to be evaluated. During the eye test, Optometrists gather all findings necessary to find the appropriate type of contact lenses for the patient. Due largely to the wide variety of contact lenses available to us today, we are able to offer contact lenses to a majority of patients to successfully satisfy individual visual needs. So, if you feel contact lenses have a place in your everyday life but believe they may not be for you, please make a time to see an Optometrist. You may be pleasantly surprised ! We are often asked for a quick fix to the ever common complaint of sore eyes, so I thought it would be a good place to begin Michael’s corner. There is no quick remedy, without visiting your Optometrist for a comprehensive eye examination. There are many brands of eye drops available from the local pharmacy and some of these claim to cure multiple eye irritations in the one bottle. Unfortunately unless the actual cause of the sore eye is determined, the miracle cures promised in the bottle may not happen. Using different tests and asking specific questions, Optometrists can find the cause and treat the sore eye(s). Most times the solution can indeed come in the form of eye drops, but these need to be the correct type and have the appropriate ingredients to treat the problem. A patient, for example, diagnosed with allergic eyes probably wouldn’t benefit with eye drops designed to treat dry eyes. They may give slight instantaneous relief but the problem (in this case the allergy) would still persist. Now that you have this knowledge, if sore eyes or itchy, burning, tired eyes present your way, its best to make an Optometrist your first port of call.